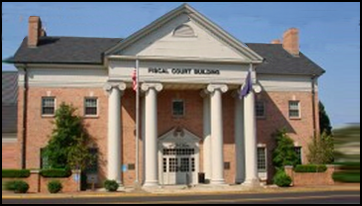 Fiscal Court meets twice monthly on the 1st and 3rd Tuesday of each month at 2:00 p.m, unless advertised otherwise. Meetings are held in the Fiscal Court Room on the second floor of the Fiscal Court Building, 100 West Jefferson Street, LaGrange. If cancelled or moved, the Chairman will post a notice on the doors of the Fiscal Court building at least 24 hours in advance.